For the last 11 days, the sewcial community has been blowing up Instagram with a Sew Photo Hop hosted by Rachel of House of Pinheiro. The 31 days of pre-published themes has every needle-wielding maker getting in on the creative share-fest. I am one (out of like 3,000) of them and my scroll finger is sore from soooooo much sewing eye candy. My favorite themes so far (clockwise): Can’t Live Without (Day 2), Pattern That Changed My Life (Day 6), Stash (Day 9), Would Exchange Closets With…(Day 10). The themes keep sewing on my mind even more than it already is – which I find hilarious because I didn’t think there were any vacancies in my sewing brain. But, this insta-challenge got my third eye wide open and it’s tuned to a 24/7 sewing channel. On Day 1, we all introduced ourselves with quirky selfies and bios and from there, the handheld sewing convention took off at full speed. It’s unbelievable how many new sewists I’ve met! We are EVERYWHERE covering the planet like a space quilt. If you haven’t already, drop by #sewphotohop or log into your Instagram app where there are 7,000+ posts sporting the hashtag at the moment. Today’s theme is “Bucket List” and we’re all sharing the things we want to make before we die. When I shared the photo I thought best fit the theme, I also revealed that I will be living forever in order to complete my list. Are you participating in or following along with the #sewphotohop? What new IG accounts and/or blogs have you discovered? This entry was posted in Challenges, Sewing Inspiration and tagged #sewphotohop, Instagram, photo challenge, sewing blogger. Bookmark the permalink. This is a very funny, and accurate post. I am joining in too. I was struck how young and relatively inexperienced many of the stitchers are, but how great is that! So full of imagination, enthusiasm and design sensitivity. It’s an explosion! I was so glad to bump into you on IG, Kate!! I think it was this sewphotohop thing that led me to your account there. 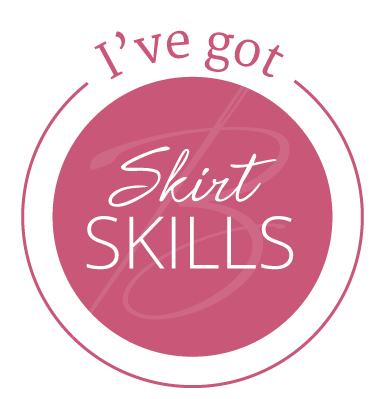 I am really enjoying all of the mingling of seasoned and newbie sewists. I fell behind the ‘hop over a long weekend, but hope to catch up over this coming weekend. It’s been really exciting ‘meeting’ sewers from all over the world! It’s especially amusing to see those in earlier time zones posting for the next day’s theme. It always trips me out to see folks living in tomorrow on my feed. Then I have to remember they are on the other side of the planet…basically another dimension! We are missing you, Ebi. Jump on in. Saturday’s theme is “secret corner of shame”. You and I know all about that! I’m not sure if I can bring myself to photograph mine, though. Probably not enough light in that dark corner of the world anyway ;-).